I just want to preface this tutorial with saying that learning about Hooks and Filters is essential if you’re ever going to do anything exciting with WordPress and Beaver builder, and I can’t stress enough how important it is to take the time to really learn what they are and how you can use them to your advantage. As a WordPress developer who has been down the journey of learning WordPress, I will swear by the fact that learning to use hooks and filters will be the best thing you can ever do on your journey to understanding WordPress. Where you can find the complete list of Beaver Builder hooks that are used in the Beaver Builder Theme (hint, you can find the links to them here). What will learning hooks allow me to do? Hooks are not something specific to the Beaver Builder Plugin, or the Beaver Builder Theme for that matter. They are actually contained within the WordPress core code and are the reason plugins and theme’s can all play nicely most of the time. Now, there are two types of hooks in WordPress – action hooks, and filter hooks. In this tutorial we will focus only on action hooks as they are probably going to be more useful to you right now. Content: This includes the content of the page of your website. Your content area, and sidebar. So, when someone access your website, WordPress automatically knows to look for these files when rendering the page, and goes through them in this order. So, how does this relate to hooks? Now, notice on this website you’re on, BeaverChildThemes.com, that at the bottom of every page there are these two rows which appear after the content and before the footer. These were added using hooks! The easiest way to work this out is to ask yourself “where exactly on the page am I trying to put my new content. In my case, I wanted to put these two rows at the bottom of each page on BeaverChildThemes.com and we’ve already learnt that the bottom of the page is referred to as the footer. So, knowing that I wanted to add my content into the footer, I went into the Beaver Builder Theme and viewed the code in the footer.php file. As you can see, in this file there are a couple of action hooks we can use. I am sure the guys over at Beaver Builder will add more as the theme matures, but here is what is in the current version of the Beaver Builder theme. NOTE: we are looking for lines of code that start with do_action, e.g. When your website loads, it goes through these hooks from top to bottom, so if you want something to appear higher on your page, choose a hook that comes first in the file. Now, what you want to do is decide on what hook you’ll be using for your code. The more you practise and use hooks and the Beaver Builder Theme, the more you’ll understand what hook you need for the job at hand. The best part about hooks is that they won’t break your website in a permanent way. If you choose a hook that outputs your content in the wrong place on your page, you can just change the hook you are using to output your code to one that appears lower down the page, until you get your content outputting in your page where you want it to. Now that you’ve got your hook, you need to use it to output your content. Add the name of your function after the hook name, separated by a comma. This should be unique and meaningful. I have used my_function_name here but you should use something like add_contact_strip_bottom (if you were adding a contact strip at the bottom of every page). If, like me, you are also outputting a beaver builder saved row (Beaver Builder Shortcode (documentation here), you should change the slug to the slug of your own template. You can find this by going to Templates in the WordPress dashboard and hovering over your template you are wanting to output. Then, click on Quick Edit and you will see the slug there. Copy it and replace the your slug with the one in my above example. Save the functions.php file you’ve just edited and add upload it back onto your server via FTP and now the code you added in your function (i.e. in my example, the saved Footer Widgets row will be output after the content and before the footer, which we used the hook fl_after_content to do so). And that’s all there is! Practise makes perfect. Practise does make everything easier! To add the rows for transparent headers on websites such as http://parentsfirstaidcourses.com.au/ . P.s. You can read how to create a transparent header in this blog post. TIP! As discussed in this tutorial – to add the bottom strips on BeaverChildThemes.com I actually nearly always use this in my client projects. I do not use the Appearance > Widgets for the footer widgets. I actually build my Footer Widgets row as a Beaver Builder Global Saved Row and the use this hook to output the row on each page so it looks like a footer. Once you get around how hooks work, you’ll find that they are very easy to use. The hardest thing is remembering their names. For a reference, I go to the official Beaver Builder documentation here https://www.wpbeaverbuilder.com/knowledge-base/theme-action-reference/ , find the name of the hook I want, and go straight into my functions.php file in my child theme and write the function. You can read more about WordPress conditional tags here. What a fantastic tutorial!! Thank you for the invested time here. This is super helpful to me as an aspiring wordpress developer. thanks mate! any time. if you have any questions, i’ll be here to help. 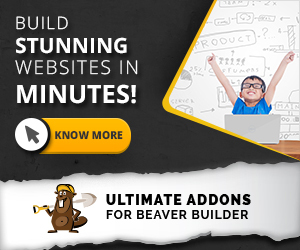 I have heard other developers like to use the genesis framework with Beaver Builder. Why would that be and what would the benefits be vs just using the Beaver Builder theme as ya’ll seem to use? Any thoughts? Thanks! A topic that could be discussed for days, I can offer some helpful insight into this and will be discussing it more on an upcoming blog post soon. I used genesis for 3 years before I switched over to strictly Beaver Builder and the Beaver Builder theme. The main reasons I swapped over is that I liked the customizer of the theme and it worked the best with the BB plugin. I also love the activeness of the guys, and they’re obviously very smart with what they’re doing so it is only a matter of time before anything Genesis does great is done with the BB theme, also. So I moved over because of the team behind BB and my faith in them. Also, most small business projects I do work really well on the BB theme. In terms of why people stick to using Genesis with the BB theme, there are a few reasons, especially for the two types of users. User 1 – people who don’t know how to code. User 2 – developers. Genesis has more hooks and some great filters that allow you to change the layout of pages, change the query etc. This is what I miss most about Genesis – I would be able to code an entire site in the functions.php file using hooks and filters, and styling in style.css. In regards to User 1 types of people who are still mastering coding, Genesis has some plugins you can install that help prevent you having to write code. Things like the design pallette plugin, simple hooks, simple menus, etc. At the end of the day, Genesis plugins are very stable, kept up to date and if you google pretty much anything, someone has had the problem you’re facing and the solution / hook you need. Final note – if you’re only doing small business websites that are quite simple, I would stick with BB and watch it be nurtured and improved. Thank you for your insights. I have been internally debating over the two for months. I definitely fall under the User 1 category. I can see the genesis framework allowing complete control and flexibility if you know how to code; I don’t. I have access to all the StudioPress themes, but am still leaning toward strictly using the BB theme with plugin. It appears it will allow me, a non-coder, more flexibility with less plugins. Thanks again for your thoughts.